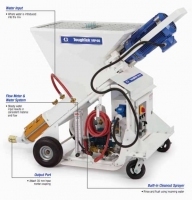 Graco Paint Spraying Equipment - Graco Pump Distributor | Spray Quip, Inc.
Spray-Quip is an official distributor of Graco spray equipment systems, air motors and displacement pumps. We have the following equipment available either in stock or can order directly from the manufacturer to distribute to you. We have the knowledge and experience to help you find the premium pumps and spray equipment for fluid handling to fit the specification needed in the construction, manufacturing, processing or maintenance industries. We stock a variety of industrial Graco spray equipment packages including non-heated spray packages for coating applications in hazardous and non-hazardous locations and airless sprayer packages for high performance protective coatings. 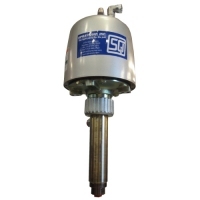 We also supply Graco proportioning packages that combine proportioning, mixing and two-component spraying materials.